We are thrilled to be well under way on an exciting local project. 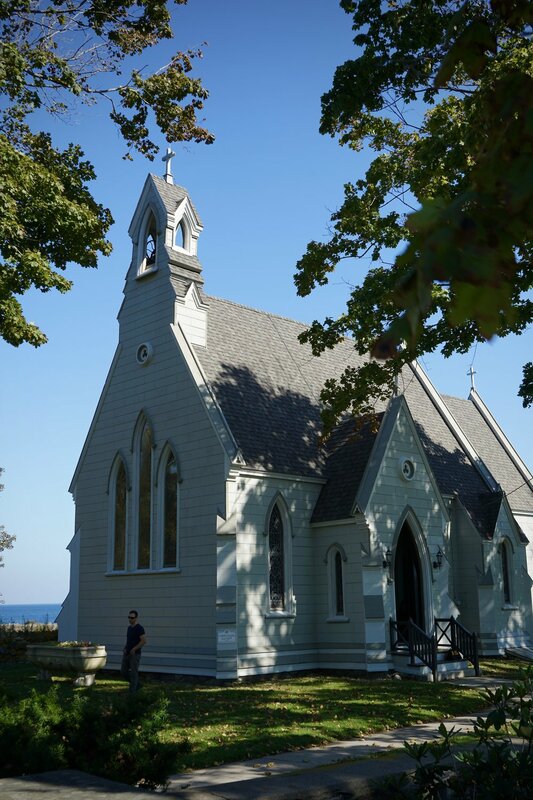 Residents of the Seacoast may recognize, or perhaps even have attended a wedding here. Union Chapel is in the Little Boar’s Head area of North Hampton, NH, beautifully situated between The Fuller Gardens and the open ocean. 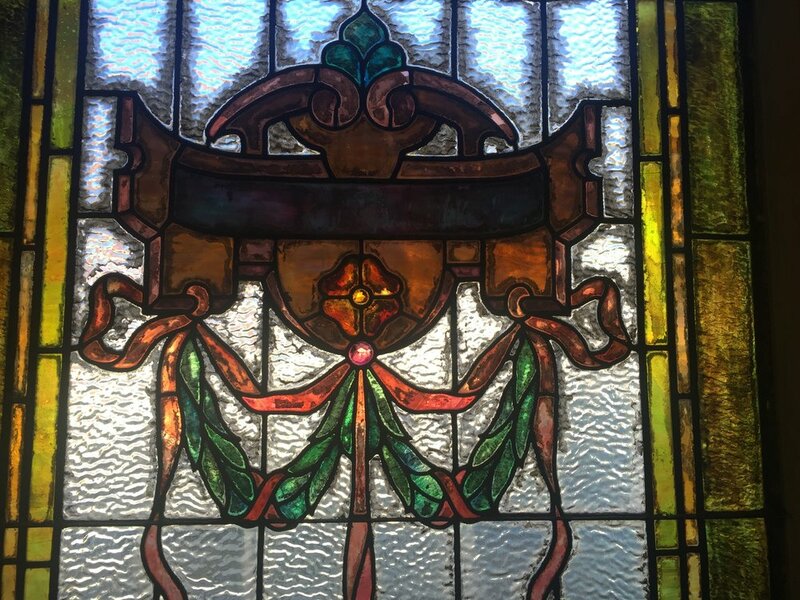 We are in the process of restoring all 16 stained glass windows, while Bedard Preservation & Restoration is at work preserving the exterior. Check back for updates. This was a great project from the past that I never got around to posting. I loved this little window, right on Beacon Street in the Back Bay. My client called it her piano window. (It was directly above her piano.) I don’t know if that’s a technical term, but I like it regardless. This was a fairly typical sidelight restoration. There was some broken pieces, but more worrisome, the support bars had separated from the panels. Sidelights can take quite a beating over the years. But I was able to perfectly match the historic glass and re-strengthen the lead came. 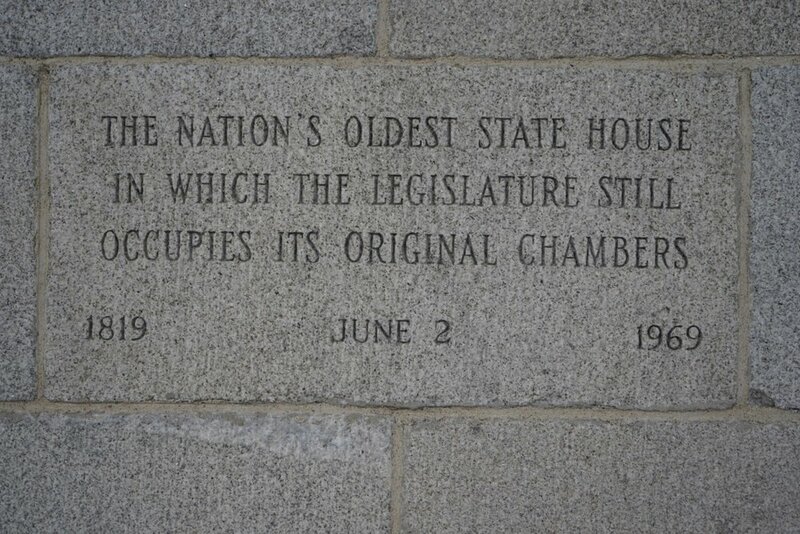 They should be fine for another 120 years or more. 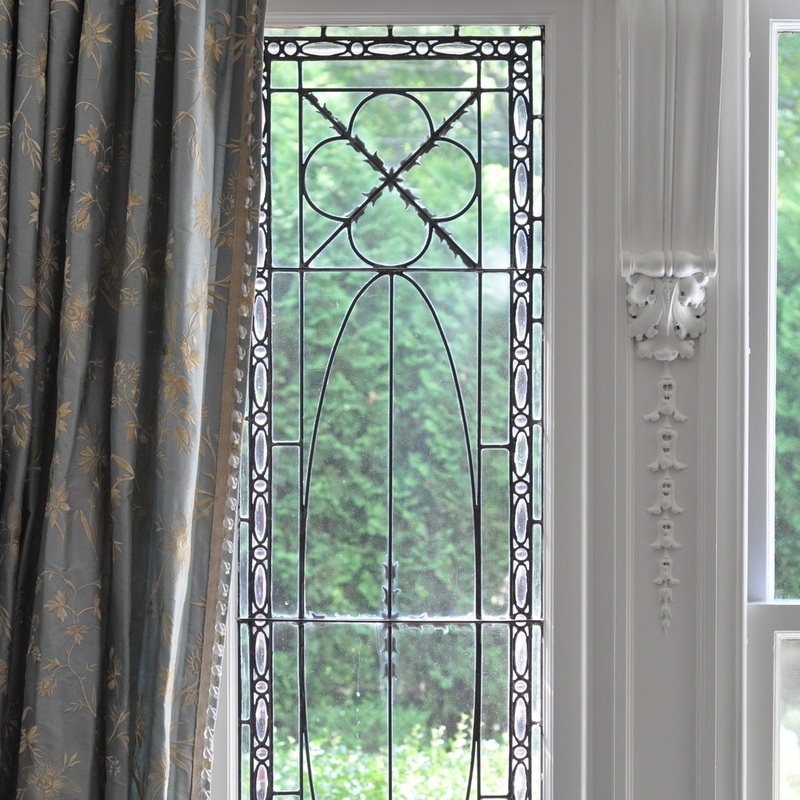 "We had been wondering how to fix the leaded glass sidelight panels of our front door in our home since the day we moved in 5 years ago. 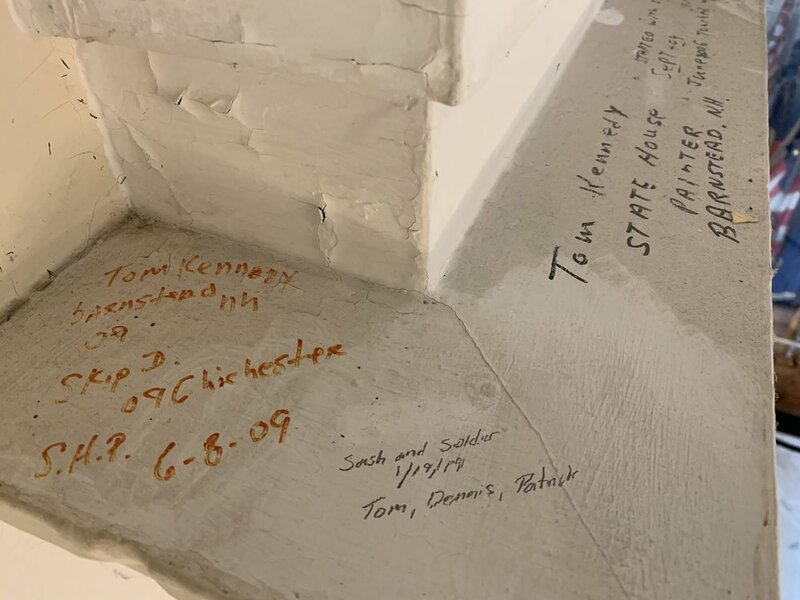 When we received the Sash & Solder leaflet, Tom came over at our convenience and advised "no worries...I can fix that to good as new" with the same character as our 113 year old home. Tom was extremely professional in explaining the process including the placement of temporary barriers to keep the cold out. The repaired windows were amazing...indeed looking like they'd been around for 113 years and beautifully maintained. Thank you Tom for your exceptional work! You are a true artist in your field!" Besides entryway door windows, stairwell windows tend to be the most damaged due to how exposed they are. I was able to find a near perfect match in both color and transparency. 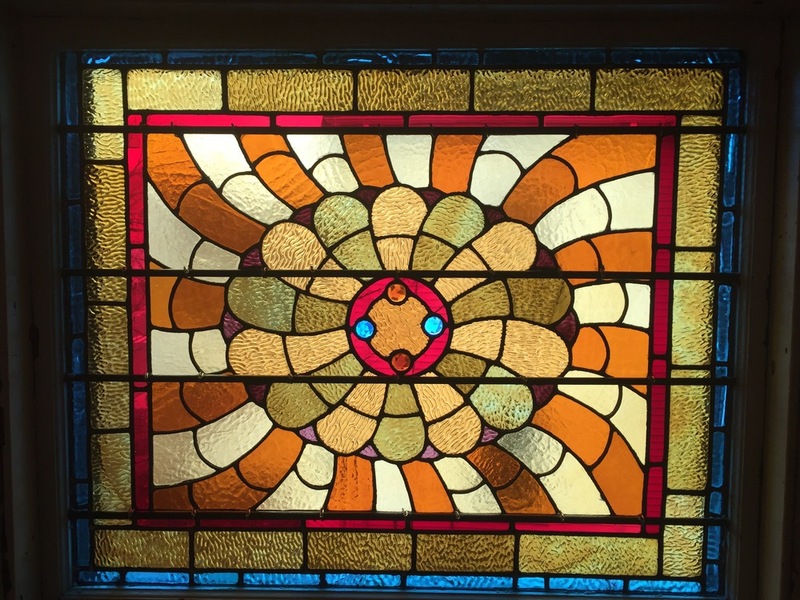 Tom Driscoll of Sash and Solder did a fantastic job repairing our antique stained glass window. He was able to open up the colonial lead and replace the cracked pieces of clear glass as well as the gold ribbed stained panels. Tom safely removed the window and did the repairs at his shop and reinstalled it in a timely manner. Very professional. 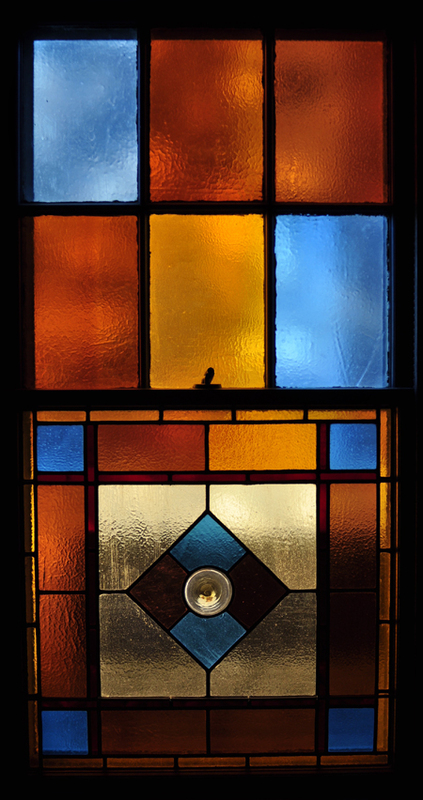 A beautiful set of windows from a grand Watertown home. 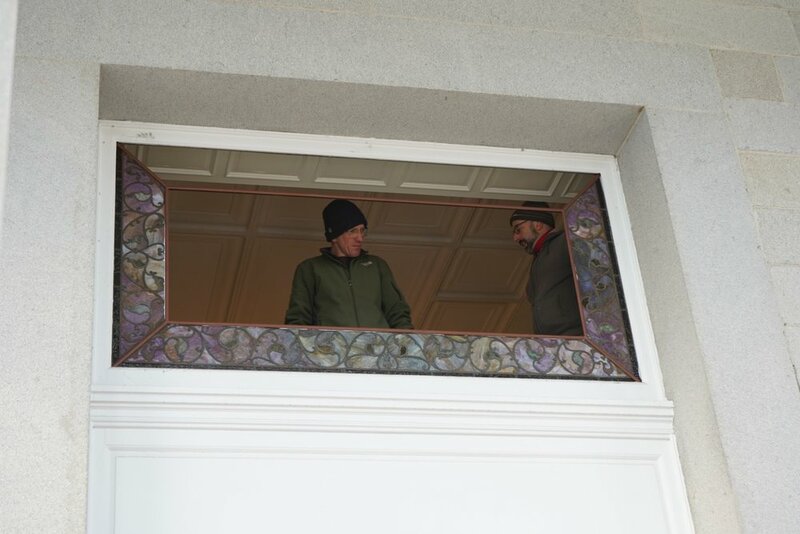 The stairway window was resized and stabilized to fit a new opening. The entryway door panel was in rough shape. The daily opening and closing of the door has destabilized the entire window. Cracked glass was replaced and all the support bars we re-soldered and strengthened. Both of these key pieces of the home will continue to shine for many more years. Last summer, I got a call from a colleague — a painter’s ladder had fallen through a window. I had a lovely drive out to Marlborough. After meeting with the clients and understanding their desire to not have the windows brought back to my studio, I agreed to come back and restore them onsite. The main problem was finding rondels of the same diameter and clarity of the originals. That was when I learned they had a glass blower in town. I met with Jordana at Hot Glass Art Center and brought along an original rondel. She assured me she could replicate them. I picked them up a few weeks later and they were perfect. And I mean perfect. It’s extremely difficult to replicate the transparency of glass. It’s always different. 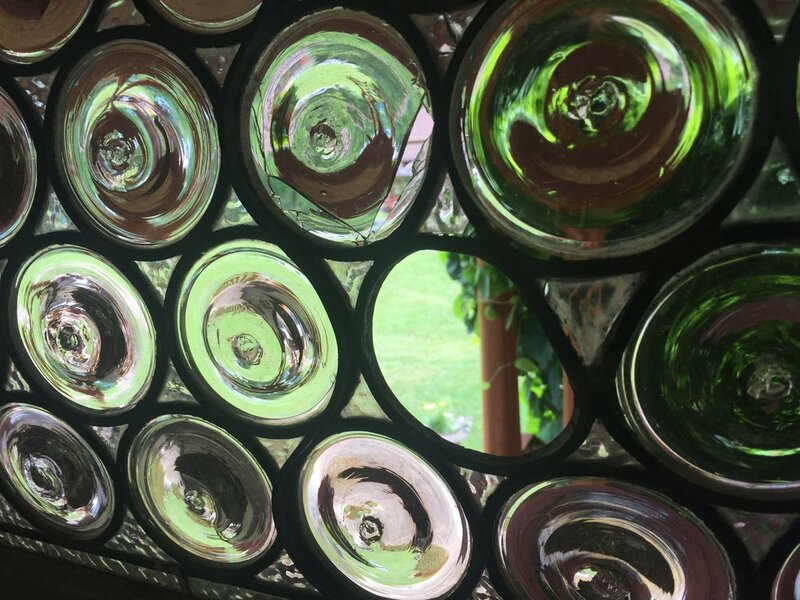 Glass that is mouth blown has the bubbles, swirls and streaks of the artist creating it. It’s almost a signature. It’s remarkable what Jordana was able to do. I was able to repair the window on site and reinstall that day. Needless to say, it was a fantastic view. I was contacted by a client after 2014’s ice dams. Remember those? After having their home inspected for damage, the condition of the windows and sashes became apparent. A fairly normal combination of neglect and years of homeowner repair needed to be addressed. There were signs of serious deflection (when the window is bowing out or collapsing onto itself). But except for two sashes, it was all repairable. The work involved fabricating two new sashes to match the original wood and profiles. All the missing and cracked glass was replaced with nearly exact matches to the original glass. This can be one of the most time consuming parts of the job, finding the correct color and texture of the existing glass. 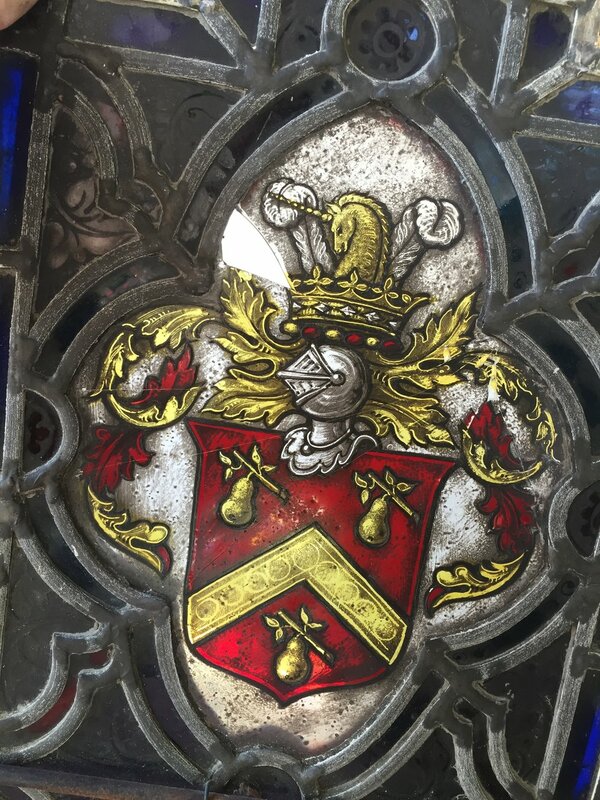 Previously, painters had siliconed and painted over the border glass, completely obscuring these parts of the windows. All of this was removed. The windows were puttied, cleaned and re-glazed into newly painted sashes. They should be problem free for another 80 years or so. When the sun is out, it shines through my rejuvenated stained glass window in such a brilliant way. The colors dance! What a difference your careful attention has made. An outdated and neglected home on Middle Street is being brought into the 21st century. 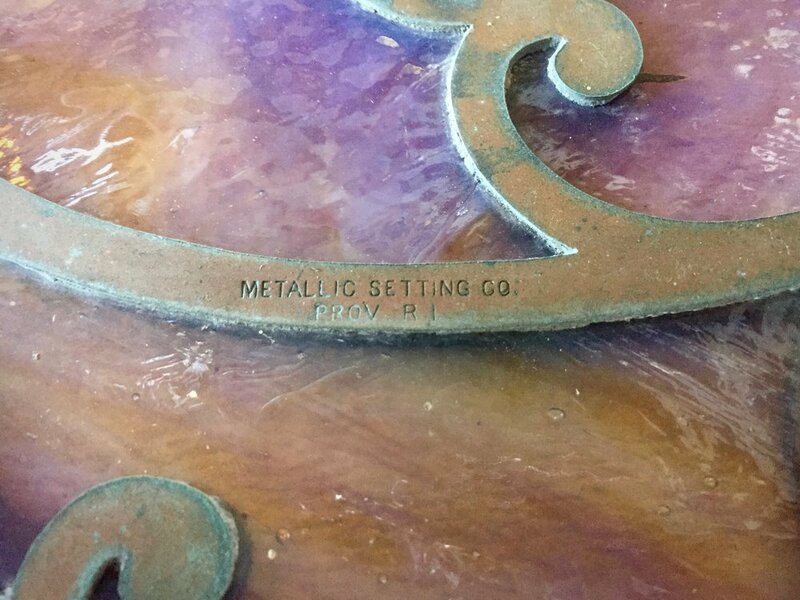 It’s new owners are proving themselves to be stewards of preservation by retaining many of the home’s unique and historic details while updating others. 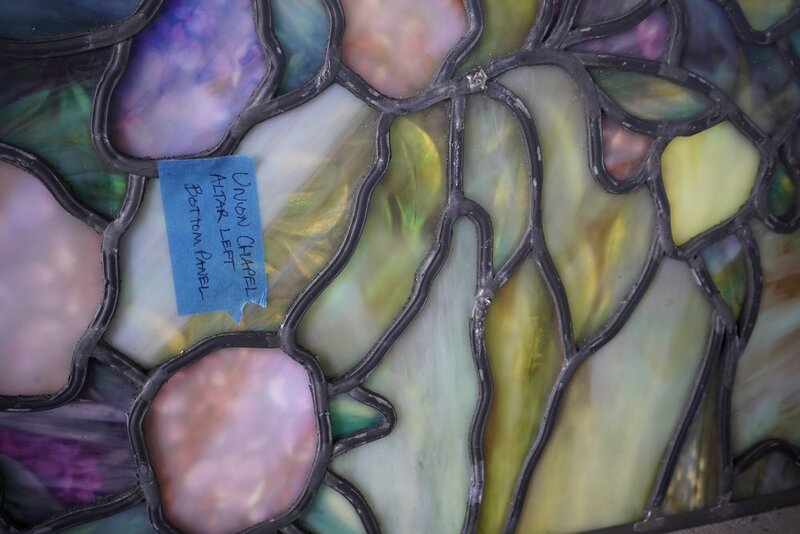 The original stained glass windows were in need of repair. One major piece of one of the panels had been smashed some time ago and one piece was missing. Through a process known as Edge Gluing, I was able to mix powdered pigment into conservation grade silicone to infill the missing glass. The damage is hardly noticeable and the window has regained nearly all of its original glory. It was a relief discovering someone of your talent and attention to detail to repair our stain glass windows. 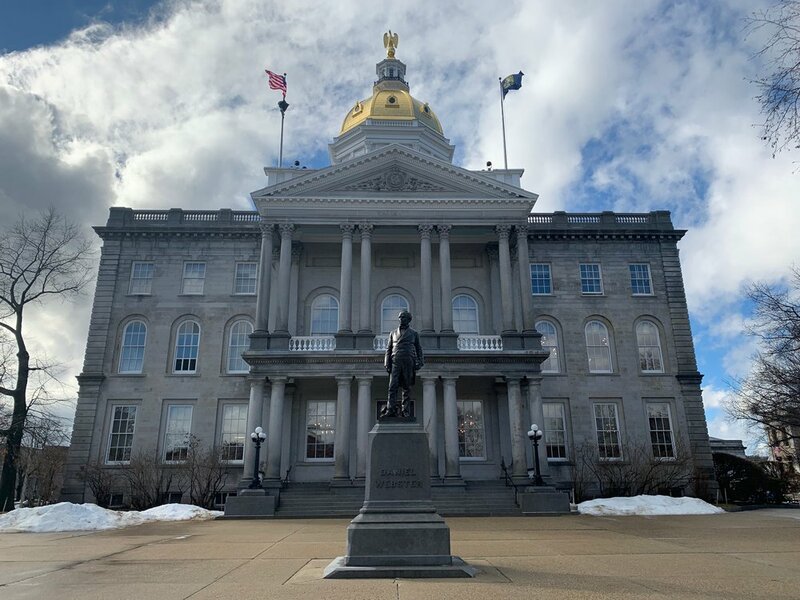 As you know when it comes to something over a 100 years old you have to trust the individual doing the work will do a good job and maintain the historic integrity of the piece while at the same time doing everything in their power to preserve the windows for future generations. i feel fortunate to have stumbled onto you and was very pleased with the job you completed. And to anyone out there considering Tom you will not find a more honest and talented craftsman, I highly recommend him. 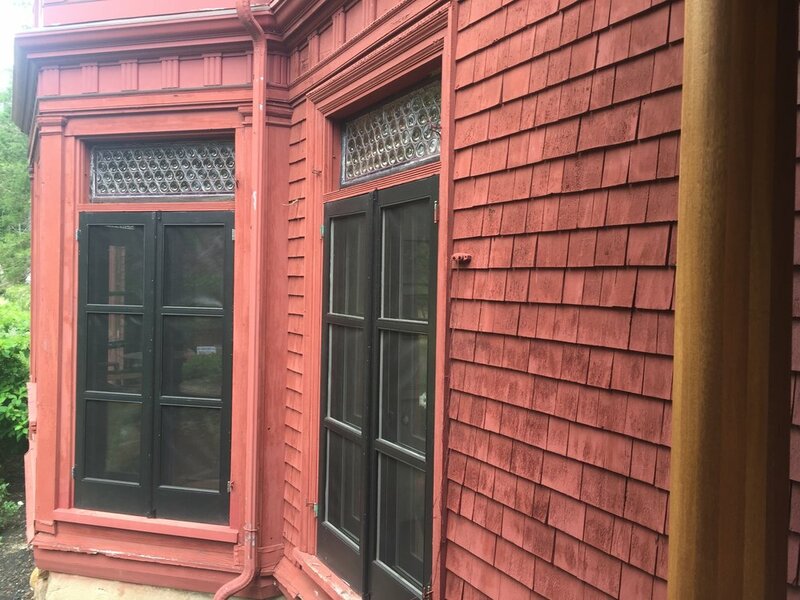 Some original multi-paned colored glass windows were in need of repair in a stately Brookline, MA home. Mostly, they just rattled a lot during storms and allowed cold air in. I simply removed the sashes, applied weatherstripping to each of the windows, and re-installed them. 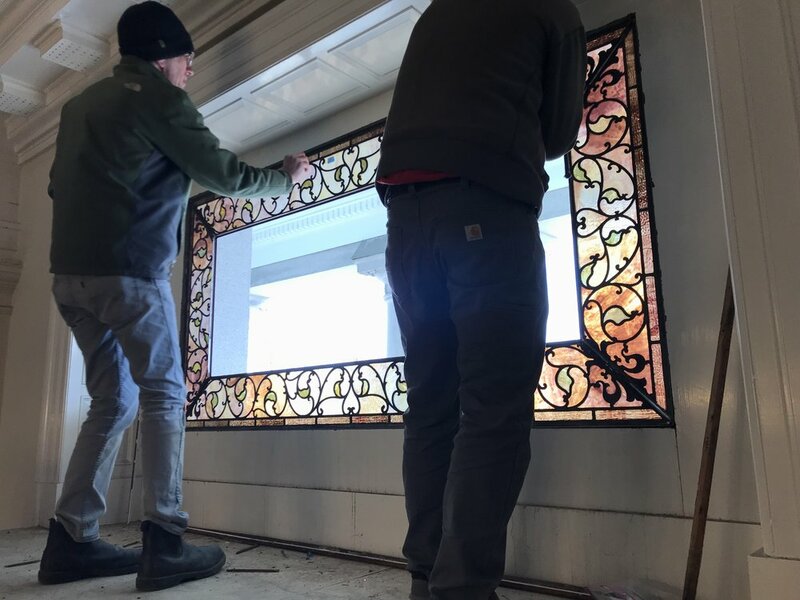 Just like that, no more rattling — and the owners will enjoy the beauty and quality of the home’s original windows for a long time. Tom Driscoll is a dream. Creative, on time, on budget. A professional who knows and clearly loves what he does. 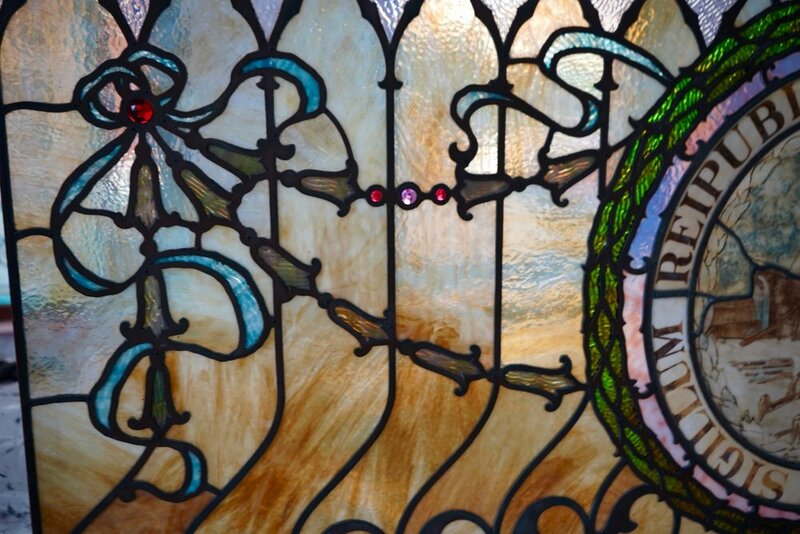 He breathed new life into our 1880's Victorian stained glass windows on each level of our house. I didn't realize how much they were rattling until they didn't - even in a Nor-easter. 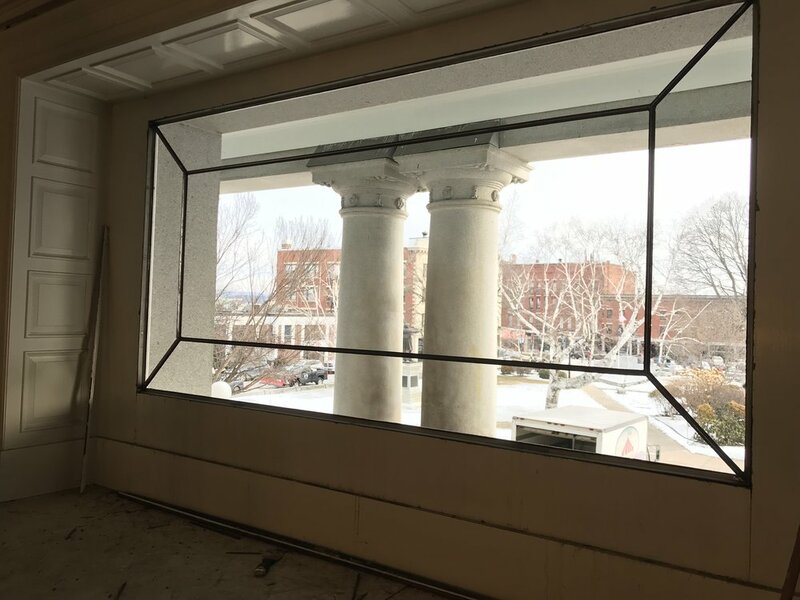 Clients from the Rockingham building in downtown Portsmouth contacted me about a common stairway window that was in need of repair. There was some significant deflection, but other than that, it was in decent condition. Understandably, some in the owner’s association were concerned about the cost and ongoing maintenance and were lobbying to just replace it with clear glass. I was able to convince them to repair the window and was able to do it for less than the clear window replacement. Needless to say, they’re happy they did. 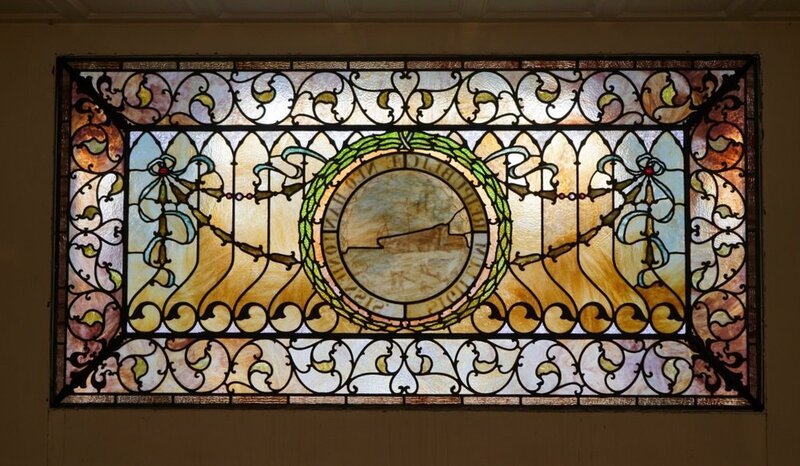 We had Tom restore an old Copper Sulfite (stained glass type) large window for the condo complex we live in. He not only did a superb job but turnaround time was excellent. Great craftsmanship on doing this restoration at a fair and reasonable price. Would definitely recommend him and use his services again. 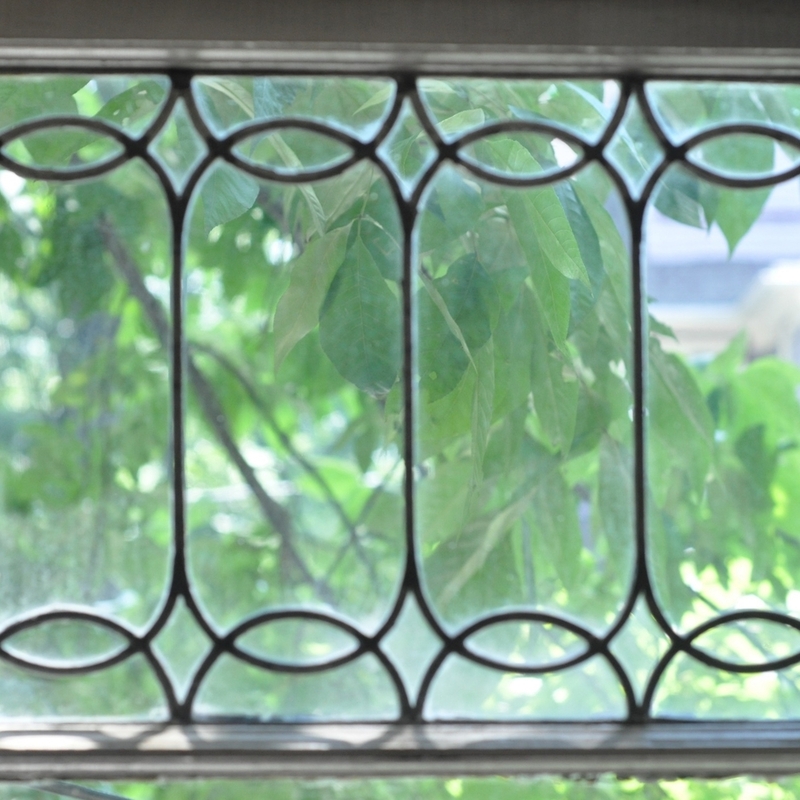 Here's another set of windows I restored for a longtime client in Newton.